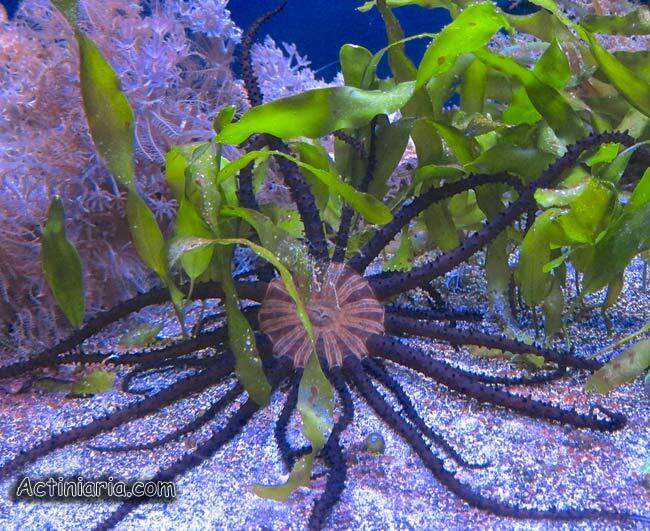 This species resembles a sea star or a brittle star rather than an anemone. 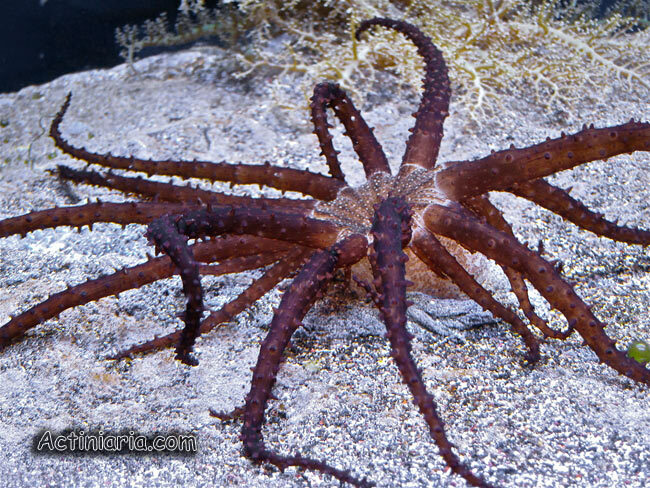 Its rather small body is hidden in the sand and only disk with long stingy tentacles is wisible on surface. 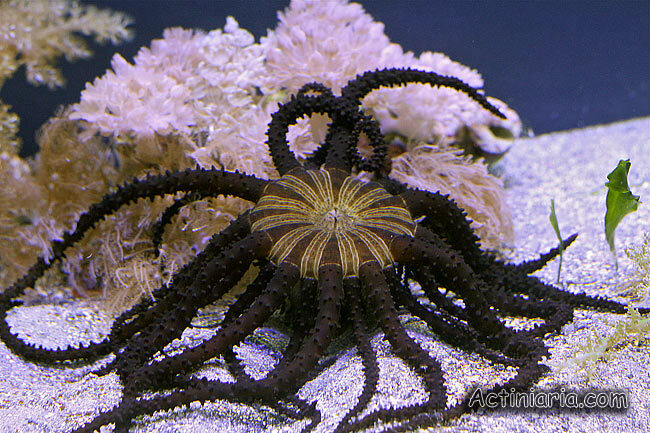 Actinostephanus haeckeli is the only species of the genus Actinostephanus which, together with Megalactis and Actinodendron belongs to the family Actinodendronidae which members also known as Hell’s fire anemones. In Actinostephanus branches on the tentacles are rather short, conical and without secondary branches - this is a difference from Megalactis and Actinodendron (in both of which secondary branches on the tentacles are much ramified).